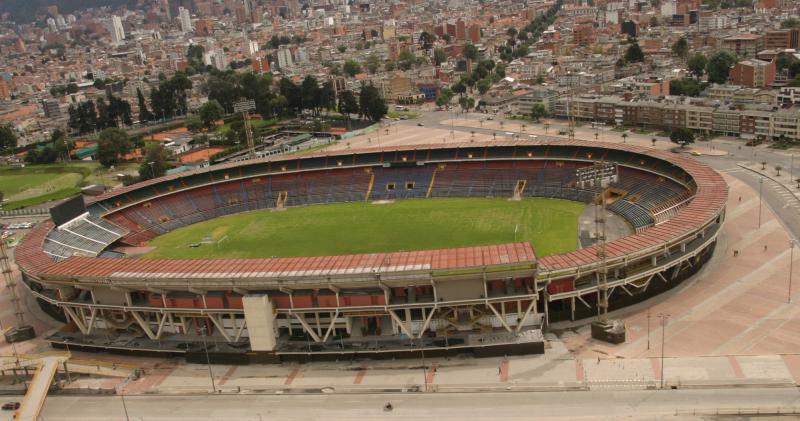 Estadio Nemesio Camacho El Campín was built at the initiative of Bogotá mayor Jorge Elecier Gaitán as the city lacked a large sports venue. The land for the stadium was donated by Luís Camacho Martiz under the condition that the stadium got named after his father, Nemesio Camacho. The site had earlier been a camp ground, or camping, which translated to Spanish earned the stadium its more common nickname. 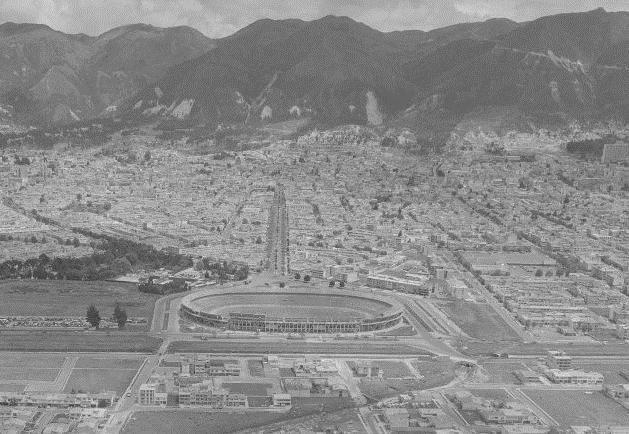 The stadium officially opened on the 10th of August 1938 with a match between Colombia and Ecuador as part of the Bolivarian Games. 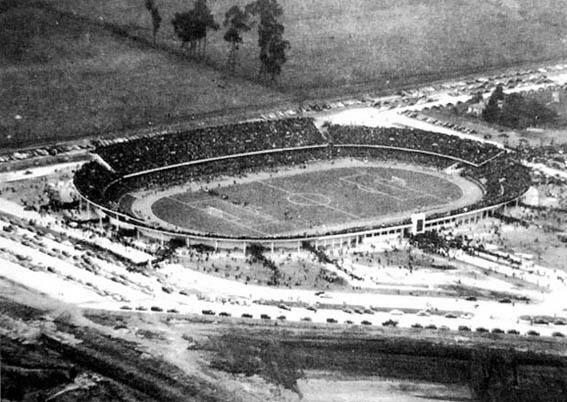 Estadio El Campín could initially hold about 10,000 spectators, but this had already more than doubled by the late 1940s. Further expansion works in the early 1950s increased capacity to 39,000. 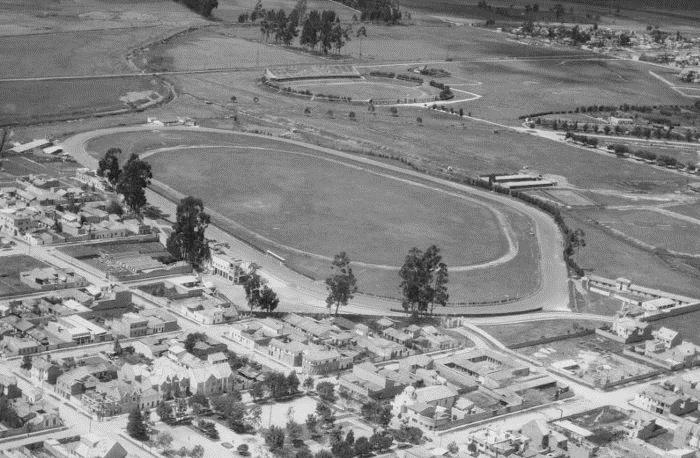 The expanded stadium reopened in 1951, and at that time also became the permanent home of both Millonarios and Santa Fe. Capacaity got gradually further increased, and after the construction of a second tier in 1969 reached 62,500. 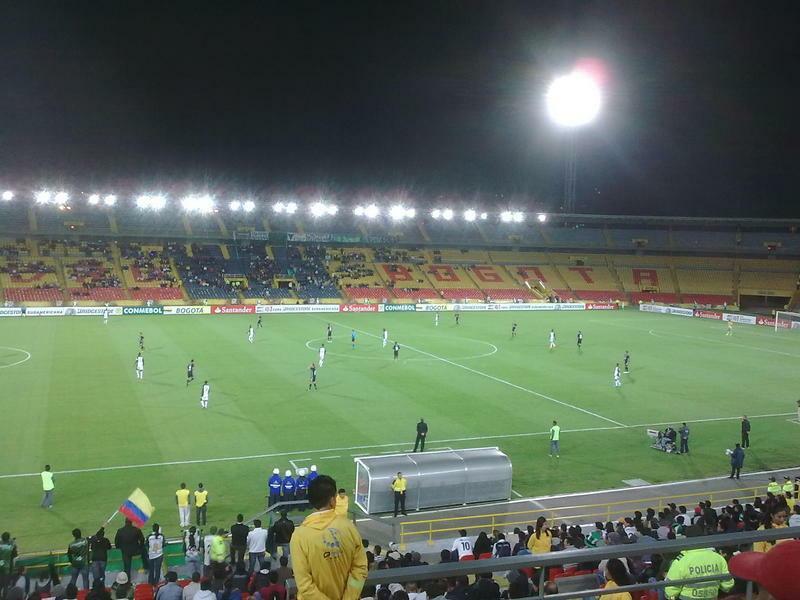 El Campín got extensively refurbished for the 2001 Copa América. The conversion of the stadium into an all-seater reduced capacity to just over 50,000. More spacious seats further reduced capacity to its current total. 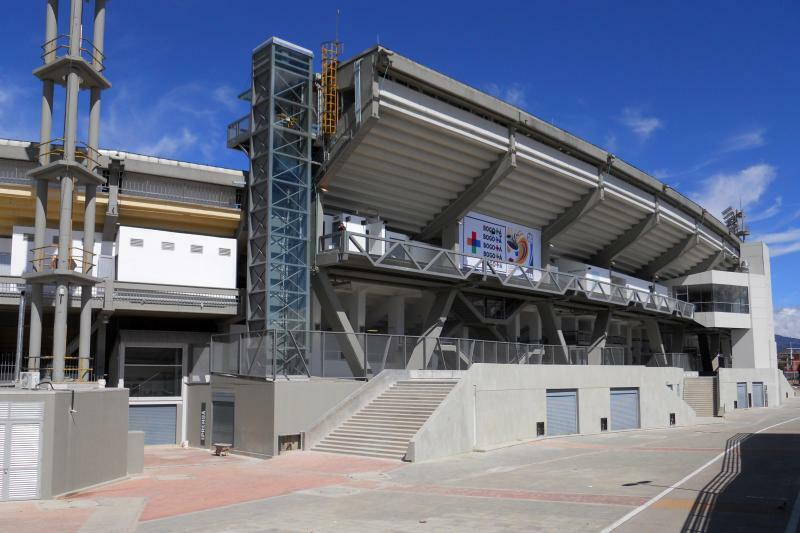 The facilities of the stadium underwent a last refurbishment in preparation of the 2011 U-20 World Cup. 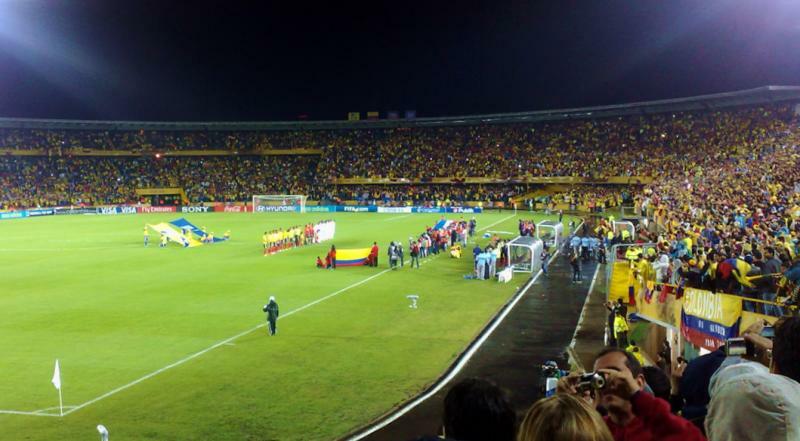 Estadio El Campín is located toward the north of the city of Bogotá at just over 5 kilometres from Bogotá’s historic city centre. The upscale areas around the Zona T (nightlife) and Parque de la 93 are located further north (3 to 8 kilometres). 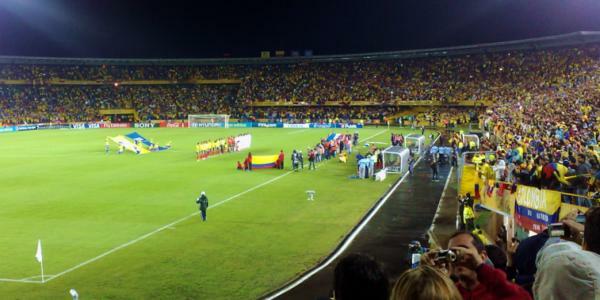 The stadium is best reached with the Transmilenio dedicated-lane bus system (bright-red buses). Station Campín lies right next to the stadium. From the historic centre (e.g. stop Museo de Oro), first take bus F23 to stop Ricaurte, and then transfer to bus C31 to get to Campín. The complete journey takes about half an hour. From stop Héroes near the Zona T one can take a direct bus to the stadium (bus G5 or G11). The journey takes 10 to 15 minutes. These buses also work from stops further north. Tickets for Millonarios games can be bought online via Tu Boleta, by phone via the Tu Boleta call center +57 (1) 593 63 00, or at one of the Tu Boleta sales outlets. These outlets include various Éxito Supermarkets, an outlet near Estadio El Campín (south of the stadium behind the ESSO petrol station), the Jean Vier store at shopping centre El Retiro in the Zona T, the Millonarios club store at the Cafam Floresta (in the north of the city), and the Locatel store in the historic centre at the Cra 10 with Calle 24. Tickets are also generally available at the ticket windows of the stadium on the day of the match. Ticket prices range from COP 19,000 for an upper-tier seat behind the goal to COP 90,000 for a central seat at the main stand. Tickets for Santa Fe games can be bought online via Ticketshop.com.co, or at one of the selected pre-sale points. These pre-sale points include the Olimpica Supertiendas, of which the one at the Calle Chile (72) with Cra 13 is close to the Zona T area. Tickets are generally also available at the ticket windows of the stadium on the day of the match. Ticket prices typically range from COP 16,000 for a seat behind the goal to COP 75,000 for the best seats at the main stand. Prices are increased somewhat for a few high-profile opponents. Millonarios.com.co – Official website of Millonarios FC. Independientesantafe.co – Official website of Independiente Santa Fe. Bogotaturismo.gov.co – Bogotá tourism information. Transmilenio.gov.uk – Official website of the Transmilenio transport system. Surumbo.com – Transmilenio journey planner.